Last weekend I did something radical. Rather than opening up my laptop and logging in to John Lewis online or Amazon to search for a rug, I visited a shop. An actual bricks and mortar store that was warm when I walked in the front door, with real people to greet me and, guess what, it stocked physical products that I could touch and feel before making my choice. And there was no need to ‘zoom in’ or to view a 360° view of the product, it was right there in front of me. Now, I’m all about saving money and weighing up the cost of petrol, time queuing in the traffic jam to get into the multi-storey car park, plus the joys of walking in a wiggle to get through the hoards of Christmas shoppers – versus the peaceful process of browsing the internet in my pyjamas. However, for so many products, buying online just doesn’t feel right. If I’m buying a piece of furniture I need to feel the quality, to smell the leather or to curl my toes up and see how I’ll feel while tucked up reading a book. For large appliances, it’s brilliant to be able to browse online to create a shortlist, but to be able to go into store to think about where in the fridge you’ll put your gin, is so much more practical than trying to decide if you need a fridge that holds 34 bags of shopping, or if you can cope with one that ‘only’ holds 27?! It’s hard not to feel sorry for retailers at this time of year. 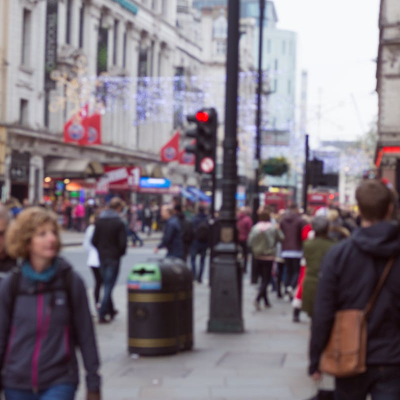 Black Friday traditionally marks the first day of the calendar year when retailers become profitable, although I doubt the majority of consumers realise its true meaning! With the pressure of rent, high rates, local authorities charging for parking, plus the challenge of recruiting and retaining staff with expertise at relatively low pay grades, it can’t be easy. And then factor in the challenge of competing with an online retailer who manages to avoid all these pressures, and pays little tax. We’re all guilty of showrooming, when we visit a store, benefit from the expertise of their staff – and then promptly snapshot the product barcode to run a search to see where we can buy it cheaper. If a new retailer were to be launched in 2019, I wonder what shape it would take. Would they take the learnings from the last 5 years and create a totally different revenue model? Perhaps reversing out of the need to hold stock but instead focusing on the showrooming, expertise and hands on experience of trying a product? But how would they commercialise this – how crazy would it be to have to buy an entrance ticket to a retailer to be able to browse their products, yet if you consider consumer shopping behaviour, maybe this is exactly what should be done. This year, Amazon have set up pop up stores in London, encroaching even further on the UK High Street. It’s rather like your enemy parking his tank on your front drive. With the barrel pointed towards your front door. With their ‘Home of Black Friday’ event in Shoreditch following hot on the heels of the Amazon Fashion event in October, it’s clear they’re pushing the boundaries. But what about the concept of supporting local retailers, you know – the ones who pay taxes, employ local staff and support the community? I’m a massive fan of VISA’s Christmas campaign #KeepItLocalThisChristmas to support local independent high street retailers and love visiting our local farm shop as it has the most gorgeous array of goodies that are perfect for just about anyone. I defy anyone to not find an amazing present for that awkward auntie. And these shops genuinely want my business. Your business. Because if we don’t support them, it won’t be long until there are no other options than staying at home in our pyjamas, buying in isolation from a screen. And then what? With this will come less and less interaction with other people. We already spend so many hours of the day glued to our screens (scary statistics are shown on the latest version of iOS – all those quick glances soon add up to hours of screen time), and many of us are guilty of texting or WhatsApp rather than picking up the phone to talk to our friends and family. After all, we’re shattered after a day in the office looking at a computer screen, so we want to go home and… look at another screen…! Maybe now’s the time for us all to give ourselves a kick up the proverbial and get out to some real independent stores…while we still can?